You landed a new job opportunity at the company of your dreams. The role is exciting, but the manager is busy, and team members are concerned with achieving their monthly stats. It is the first two weeks of employment, and the feeling of isolation is creating an uncomfortable work experience. What is a new hire to do? 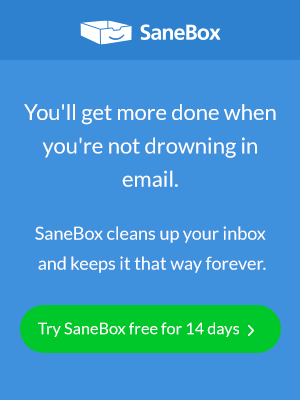 At SaneBox we’re all about maximizing productivity. There’s a slightly controversial new productivity trend we’d like to cover today. Life’s everyday tasks can exhaust you. You’re scrambling between a last-minute work assignment, picking up the kids from soccer practice, and reminding your mom about her upcoming doctor’s appointment. It’s a challenge. All you want is to be more productive so you can relax at the end of the day.